Decor in Pakistani weddings is extensive. Particularly for the mehndi – which requires decorated thaals (trays) which hold sweets, candles and flowers. The tradition is that the girls from the brides side bring her mehndi (henna) to the ceremony on decorated trays. What this usually looks like is a procession of girls each carrying a small decorators trays with flowers and candles on it, with the closest girls carrying a very big tray with the actual bowl of henna (to put on the leaf which will be placed in the bride’s hand on the mehndi night) oil (which people will rub into the bride and groom’s hair) and sweets (which guests will feed the bride and groom). 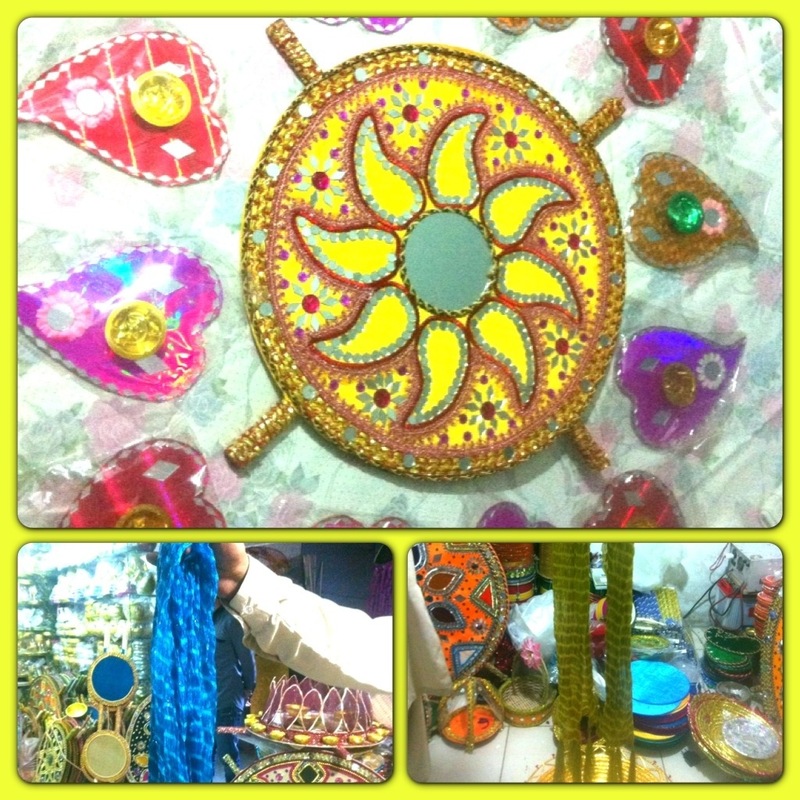 Liberty market in Lahore is full of shops which sell only mehndi decor – decorative trays in all shapes and sizes, bowls to go with it, decorative glasses for the dood Palai (the ceremony where the sister feeds the groom milk), and all the other decorations that you could think of to decorate your mehndi night with. We ended up getting all of our stuff from the basement shop of a store in Liberty. (Bargain a lot here!). Here’s what they looked like and the decorations we ended up picking!